Phillipine President Rodrigo Duterte has asked for an extension on his war on drugs, as he has said he ‚cannot kill them all‘. His war has already claimed the lives of some 3,000 people since May – two thirds of that number being outside the realm of police killings but part of unofficial militia and vigilante hits. It’s a repeat of the methods seen the world over since the late 19th century – purging the cities of people, rather than deal with the complex nature of addiction, legal status of drugs and the advanced militarisation of police forces. Public favour often turns to sweeping, vivid actions against drug users rather than dealing with structural problems which lead to drug addictions – normally poverty, and normally cheap availability of drugs. There can also be ethnic dimensions – with minorities typically more prone to addictions in cities in the West, because minorities typically live in more deprived areas. 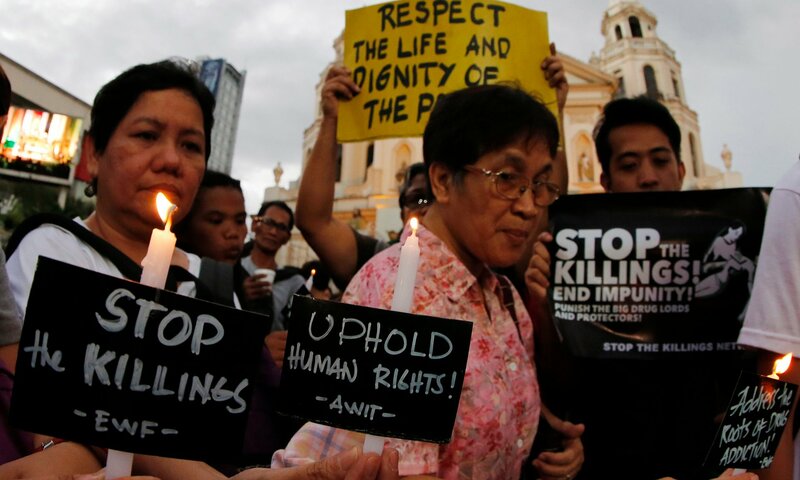 But Duterte has rejected any criticism coming his way, calling US President Barack Obama a “son of a whore” and UN Secretary-General Ban Ki-moon a “fool”, and vowing to continue his campaign – which is proving hugely popular domestically and boosting his poll ratings. The planned six month extension looks set to needlessly extinguish the lives of people who are probably most in need of help. Duterte is a certainly a political player to watch in a country growing more and more unstable in an unstable region.